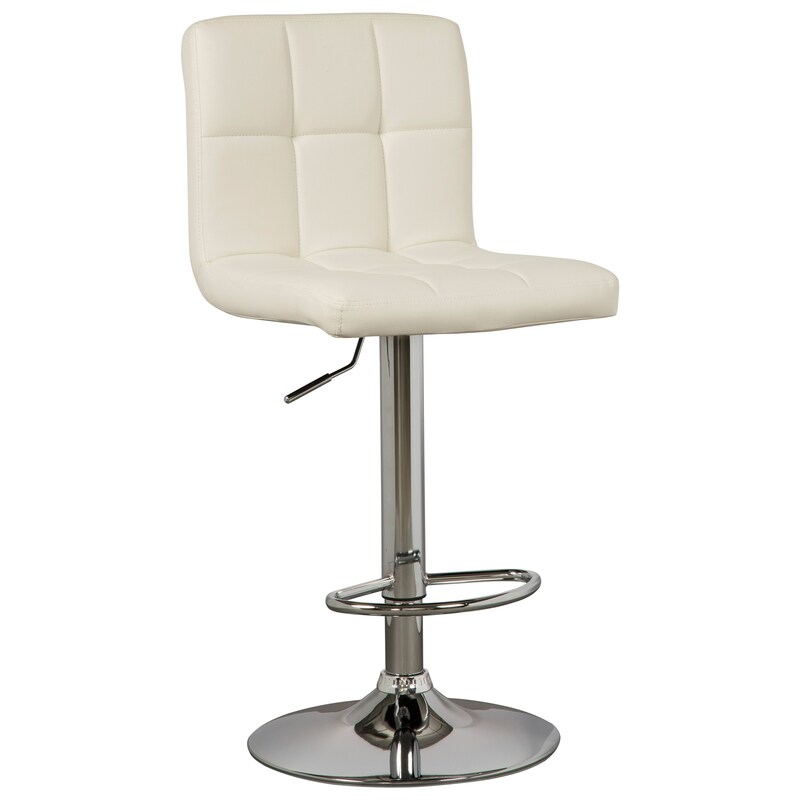 This adjustable height swivel stool can be used at both counter height or bar height for maximum versatility. Its contemporary design showcases black faux leather with square tufting and a shiny, chrome-finish base with a footrest. Adjustable seat height (min) 25.50"
Adjustable seat height (max) 33.50"
Adjustable footrest height (max) 16.13"
Adjustable chair height (max) 47.50"
Adjustable chair height (min) 37.50"
The Bellatier Tall Upholstered Swivel Barstool in Bone Faux Leather by Signature Design by Ashley at Sam Levitz Furniture in the Tucson, Oro Valley, Marana, Vail, and Green Valley, AZ area. Product availability may vary. Contact us for the most current availability on this product. The Bellatier collection is a great option if you are looking for furniture in the Tucson, Oro Valley, Marana, Vail, and Green Valley, AZ area. Browse other items in the Bellatier collection from Sam Levitz Furniture in the Tucson, Oro Valley, Marana, Vail, and Green Valley, AZ area.